Department of Mechanical Engineering, University of Colorado at Boulder, Boulder, CO 80309, USA. Department of Mechanical Engineering, University of Colorado Boulder, Boulder, CO 80309, USA. Cardiovascular disease remains the leading cause of death in western countries. To date, there are no effective therapies to fully restore cardiovascular tissue or organ function after damage. Therefore, regenerative strategies, including stem cell-based therapies and tissue engineering applications, have been proposed with the aim to regenerate damaged tissues and organs. One major strategy for cell and tissue regeneration is engineering physiological-relevant microenvironments through advances in biomaterials and innovative biomanufacturing techniques. While illuminating the roles of tissue microenvironment in cellular regeneration and/or pathogenesis is still poorly understood, advances in the precise design and modification of biomaterial substrates have resulted in a wealth of tools that will undoubtedly improve our understanding of cell-matrix phenomenon. Furthermore, recent advances in biomanufacturing methods now permit the reconstruction of complex tissues and organs once thought to be unobtainable. We contend that combining innovations in precision biomaterials and advanced biomanufacturing will transform current treatments of cardiovascular disease and accelerate a new class of novel bioengineered therapies. 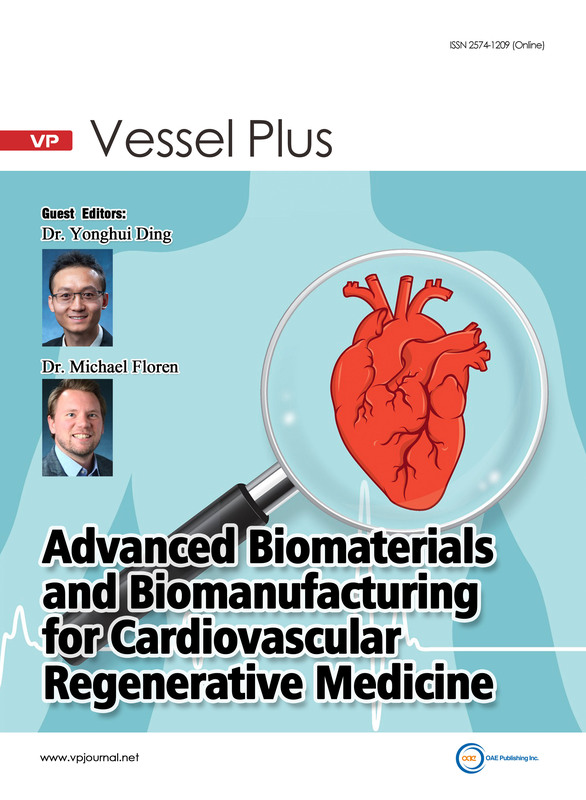 With this special issue, we are hereby soliciting reviews and original research papers leveraging advanced biomaterials and biomanufacturing techniques for cardiovascular regenerative medicine, with a focus on myocardial repair, heart valve regeneration, and engineered blood vessels.